…wrapping up this short throw-back series with the metaphor of a rockslide on I-40 on the NC/TN border that happened in 1997. That rockslide caused a lot of detours for months, and in the pre-GPS days, you had to pay attention to the road signs. 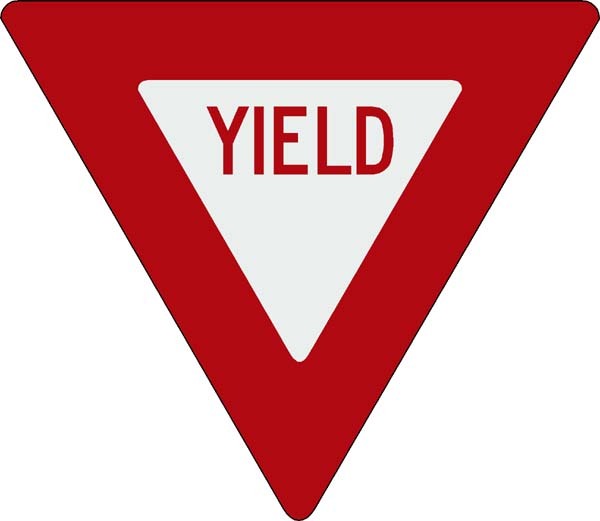 A “Yield” sign means I should stop and relinquish my progress to someone else. The last sign on this brief road trip is “yielding” our lives to God in worship. Worship is any activity in which believers experience God in a meaningful, spiritually transforming way. True worship should lead worshipers to a deeper appreciation for God, a better understanding of His ways, and to a deeper commitment to Him. Encountering God in worship transforms us more and more into His likeness. Worship begins with God, and not people. Worship is not something people do because they want to influence God. Worship is not something people do just out of gratitude, love, or fear. Emotions do not control worship; God controls worship. God instructs us how to worship and how not to worship. God is sovereign and holy. Worship must not be done according to our small notions of Him, our limited conceptions of what He wants, or what might please us. God is above all, and we are to worship Him in the manner He desires. God is in charge of worship. He created us and redeems us at His pleasure. He gave forms of worship in the Old Testament to direct Israel’s worship and has given His Holy Spirit in the New Testament to give us liberty and guidance in how to worship Him for who He is and what He has done. The Spirit brings liberty and freedom to worship. The purpose of worship is to come before the Lord in obedience to praise Him, to hear from Him, to confess Him, and to commit our lives to Him. Every worship service is to be an encounter with the Lord, transcending our feelings, desires, and even our abilities to perform. These five functions of the church are vital signs that must be followed in balance if we are to complete our journey. When you come upon a rockslide, look to the signs to guide you to your destination. This entry was posted in BookNotes, Leadership and tagged Purpose Driven Church, Rick Warren, Road Signs, Team UP, Worship, Yield. Bookmark the permalink.